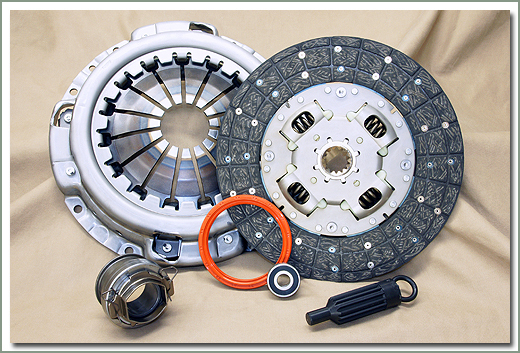 Specter offers a complete Clutch Replacement Kit with all the parts one would need to do a complete clutch job. 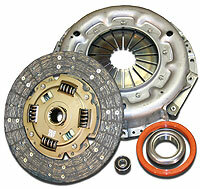 Specter provides only high quality clutch components. 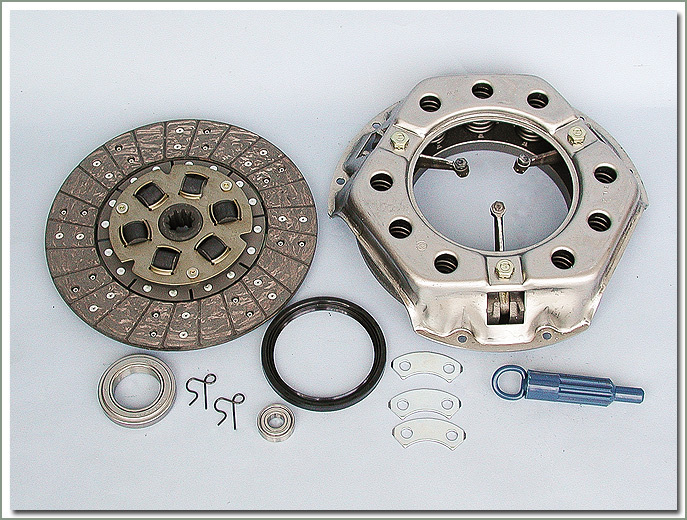 We only use new Asco brand heavy duty clutch pressure plates & heavy duty clutch discs. Asco is the Japanese manufacturer of the Toyota factory O.E.M. 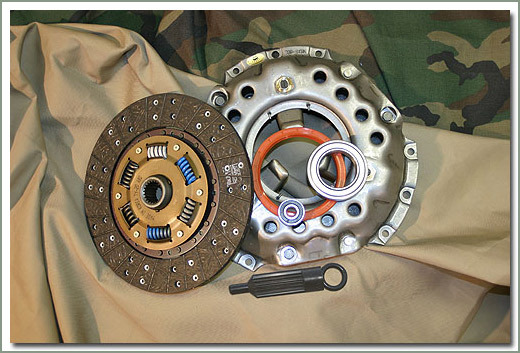 clutch components. We also provide high quality Japanese brand throw out bearings and pilot bearings. 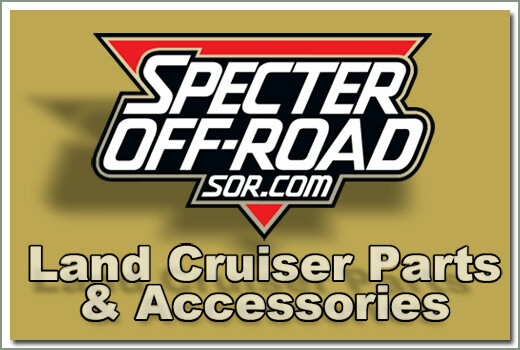 Specter's Kit also includes a Japanese brand rear engine seal, two O.E.M. hub clips, three O.E.M. flywheel plates, and a clutch alignment tool. Kit #018-19A-F-KIT comes with a resurfaced flywheel. 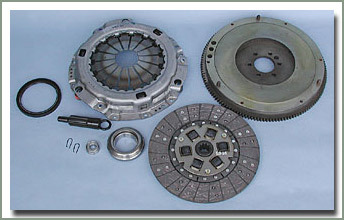 In our experience these are all the parts one should need to replace to do a proper clutch job. Specter also advises to check your clutch boot #018-13, this is a rubber product and due to the age of your vehicle you may need to replace this rubber boot, order separately if needed. Please read the Clutch Assembly Tech Note at the bottom of this page. Fits 1958-8/74 FJ40/45/55 F gas engine - Comes with new heavy duty clutch plate, heavy duty disc, throw out bearing, pilot bearing, rear engine seal, hub clips, clutch alignment tool, and flywheel plates (qty 3). Also purchase clutch fork boot #018-13, and clutch hub #018-16 order separately if needed. 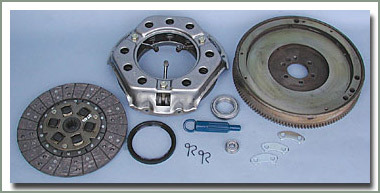 Fits 1958-8/74 FJ40/45/55 gas engine - Comes with new heavy duty clutch plate, heavy duty disc, throw out bearing, pilot bearing, rear engine seal, hub clips, clutch alignment tool, flywheel plates (qty 3), and resurfaced flywheel. 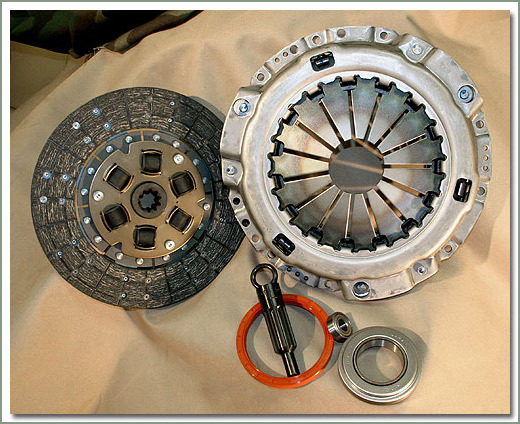 $100.00 refund on undamaged rebuildable clutch pressure plate CORE and $195.00 refund on undamaged resurface-able flywheel CORE. Also purchase clutch fork boot #018-13, and clutch hub #018-16 order separately if needed. 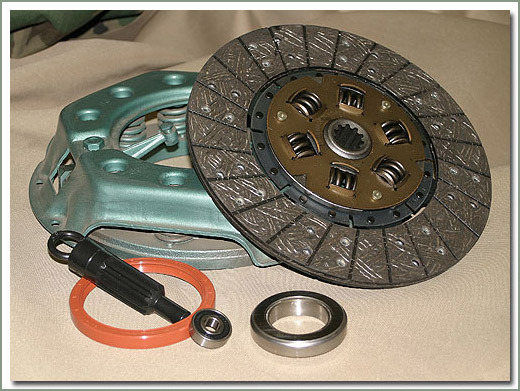 Fits 8/74-8/87 FJ40/55/60 2F gas engine - Comes with heavy duty clutch plate, heavy duty disc, throw out bearing, pilot bearing, rear engine seal, hub clips, and clutch alignment tool. Also purchase clutch fork boot #018-13, order separately if needed. Fits 8/74-8/87 FJ40/55/FJ60 2F gas engine - Comes with heavy duty clutch plate, heavy duty disc, throwout bearing, pilot bearing, rear engine seal, hub clips, clutch alignment tool, and resurfaced flywheel. $110.00 refund on undamaged resurface-able flywheel CORE. Also purchase clutch fork boot #018-13, order separately if needed. 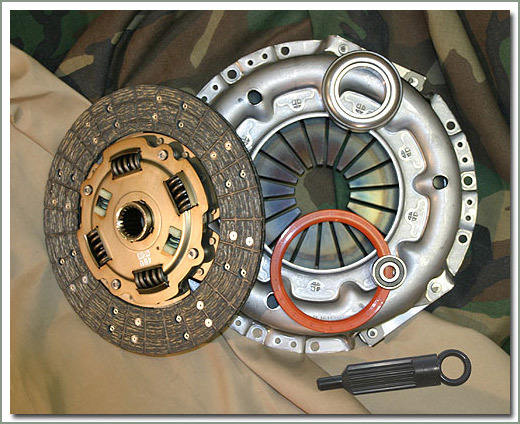 2006-2010 FJ Cruiser 1GR gas engine - Comes with pressure plate, clutch disc, throw out bearing, pilot bearing & clutch tool. 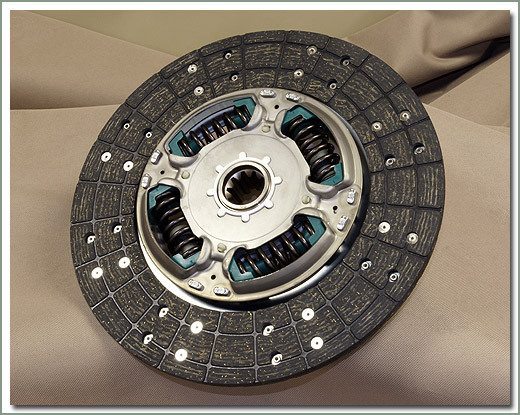 Specter's Extreme Clutch Disc is designed with a spring loaded center hub for high torque applications. This disc is well suited for larger than stock tires. Fits 1958-8/87 FJ40/45/55/60 F/2F gas engines - Designed with a spring loaded center hub for high torque applications - Well suited for larger than stock tires. Center hub is thicker than stock and can contact flywheel bolts on flywheels that have been machined beyond tolerance. Fits 2/74-7/80 B/2B diesel engine - Comes with 3 finger pressure plate, clutch disc, throw out bearing, pilot bearing, rear engine main seal and clutch alignment tool. Fits 8/80-2/85-3B diesel engine - Comes with diaphragm pressure plate, clutch disc, throwout bearing, pilot bearing, rear engine main seal, hub clips, and clutch alignment tool. Fits 2/85-1/90 3B diesel engine - Comes with diaphragm type pressure plate, clutch disc, throw out bearing, pilot bearing, rear engine main seal, hub clips, and clutch alignment tool. Fits 4/72-7/80 H diesel engine. 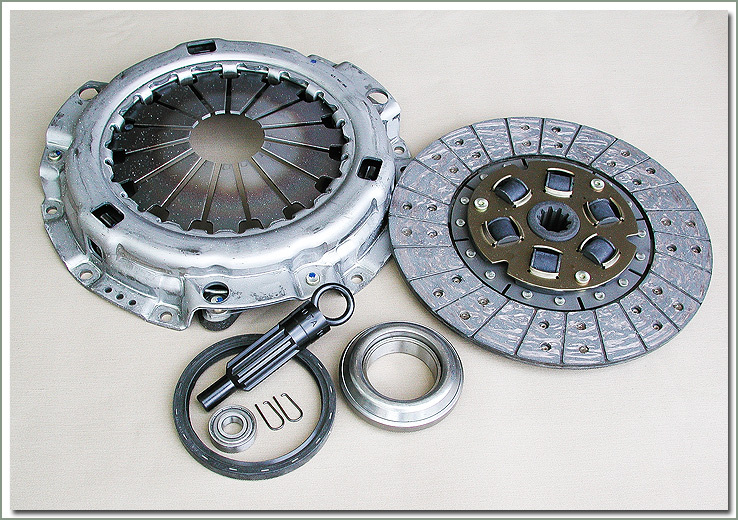 Comes with 3 finger type pressure plate, disc, throw out bearing, pilot bearing, rear engine main seal and clutch tool. Fits 8/80-12/83 2H diesel engine - Comes with heavy duty diaphragm type pressure plate, heavy duty clutch disc, throw out bearing, pilot bearing, hub clips, rear engine main seal and clutch tool. Fits 12/83-8/87 2H diesel engine - Comes with heavy duty pressure plate, heavy duty clutch disc, throwout bearing, pilot bearing, hub clips, rear engine main seal and clutch alignment tool. Fits 10/85-8/87 13BT diesel engine - Comes with diaphragm type pressure plate, clutch disc, throw out bearing, pilot bearing, rear engine seal, hub clips, and clutch alignment tool. Fits 8/87-1/90 13BT diesel engine - Comes with diaphragm type pressure plate, clutch disc, throw out bearing, pilot bearing, rear engine seal, hub clips, and clutch alignment tool. Fits 10/85-9/87 12HT diesel engine - Comes with heavy duty diaphragm pressure plate, heavy duty clutch disc, throw out bearing, pilot bearing, hub clips, rear engine main seal and clutch alignment tool. Fits 9/87-1/90 12HT diesel engine - Comes with heavy duty diaphragm pressure plate, heavy duty clutch disc, throw out bearing, pilot bearing, hub clips, rear engine main seal and clutch alignment tool. Fits 1/90-1/95 1HDT 80 Series diesel engine - Comes with heavy duty pressure plate, heavy duty clutch disc, throwout bearing, pilot bearing, clutch hub, hub clips, rear engine main seal and clutch alignment tool. Fits 1/95-1/98 1HDT 80 Series diesel engine - Comes with heavy duty pressure plate, heavy duty clutch disc, throwout bearing, pilot bearing, clutch hub, hub clips, rear engine main seal and clutch alignment tool. When installing the early clutch assembly care needs to be taken when tightening the pressure plate to flywheel bolts. 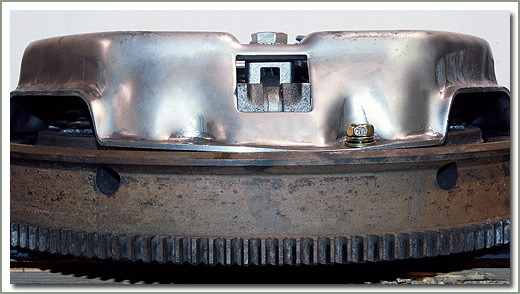 The early clutch pressure plate mounts into a step on the flywheel. If the bolts are tightened on one side of the pressure plate before the bolts on the other side of the plate are tightened, it will miss-align and warp the pressure plate and not allow the plate to sit correctly into the step. This miss-alignment will cause the plate mount to bend when the bolt is tightened. See the picture. This is a bolt that has bent the pressure plate mount due to incorrect installation. The pressure plate bolts need to be gradually tightened a little at a time all the way around the flywheel. This will allow the plate to settle correctly onto the flywheel step.